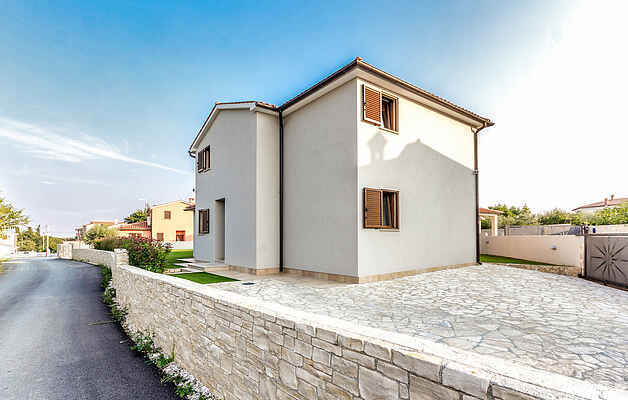 In the small village of Kavran, in the south of Istria, there is this beautiful holiday home. Interiors are nice and functionally furnished and consist of three bedrooms, each with its own bathroom, ideal for a large family. On the spacious terrace you can enjoy the evening and a nice refreshment from the summer heat in the pool. In the vicinity are numerous bays with crystal clear water. Be sure to visit the ancient city of Pula with its many sights, Adventure park Glavani and Barba Tone Ranch in Manjadvorci.